Another day, another Apple Worldwide Developers Conference preview – but it’s the last, because today we finally get relief from the whirlwind of rumors and expectations of Apple announcements. At last the speculation will die and WWDC news will prove some fools and some geniuses. Until then, here is your last-minute rumor roundup. New Mac hardware? Check. Refreshes for iOS and OS X? Check. The fate of Google Maps in iOS6? Not so much. The role of Facebook in iOS? Maybe. New Mac hardware? 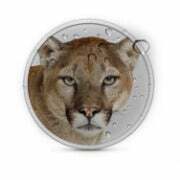 New features for OS X 10.8 Mountain Lion? Maybe even a surprise appearance by Apple TV. If Apple actually hits all of those topics, its keynote will be one of the biggest -- and probably longest -- of any developers conference. Here's what we know (or think) so far. Even though it's been around as a developer preview since February, some Apple watchers expect the company to show off some previously unannounced features in OS X Mountain Lion. Serenity Caldwell has a great rundown of what we already know about to OS X 10.8; hop over to Macworld for some brief prognostication about what Apple may say about Mountain Lion later Monday. Apple pretty much guaranteed that iOS 6 will feature prominently in WWDC after 9to5 Mac snapped a few photos of iOS 6 banners going up at Moscone West in San Francisco, the site for WWDC. Speculation surrounding iOS 6 includes deep Facebook integration, similar to how Twitter is integrated into iOS 5. And Google Maps may get the boot from iOS in favor of Apple's homegrown mapping solution. Another late rumor suggests the original iPad may be left out of iOS 6, according to 9to5 Mac. Finally, check out Macworld's take on some wish list for iOS 6. Apple may announce a nearly complete overhaul of Mac hardware during WWDC including new MacBook Pros, iMacs, and the Mac Pro. The hottest? The prospect of high-definition Retina displays on MacBook Pros. Piling on the Retina dreams for WWDC, The Next Web notes that at least one Mac developer, Brothers Roloff, has updated its Mac App Store app called Folderwatch for improved "Retina graphics". Does Brothers Roloff know something the rest of us don't, or is the company just hoping to be prepared? Apple's sync and storage solution is expected to get an update with a new photo sharing feature and updates to iCloud's Web interface, according toThe Wall Street Journal. Watch for updated Apple TV software, according to BGR. Even more interesting: this will purportedly be the same software that runs on Apple's expected television set. A late addition to the WWDC feeding frenzy was uncovered by a Chinese-language forum, WeiPhone. The site claims several links on Apple's developer site led to developer tools, including a preview version of Safari version 6 for OS X Lion. Apple's Web browser is currently at version 5. Weiphone's discovery was first reported in English by Macrumors. The links on Apple's site are currently inactive. Apple's annual WWDC keynote kicks off at 10 a.m. Pacific and you can follow the live blog right here at PCWorld.